What does carpet cleaning have to do with sicknesses? Did you know that carpets carry not only dust and dirt but also bacteria and germs? As many of us know flu season, allergies and other colds have been in full swing these past few months. So, what does this have to do with carpet cleaning? Well, carpet cleaning not only helps kill and remove bacteria and germs but it also helps remove dust and allergens that are being tossed around in your carpet fibers. 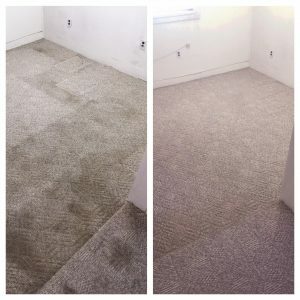 Carpet cleaning can and will make your carpet look better but it will also put your mind at ease when you and your family are walking across it or just relaxing on the floor. How does carpet cleaning reduce bacteria and germs? Since most professional carpet cleaners are cleaning at 200 degree fahrenheit or higher this type of cleaning will kill bacteria and stop it in in its tracks. Steam cleaning carpet is the preferred and best choice when carpet cleaning. Carpet cleaning gets into the fibers of the carpet and into the surface of the padding. 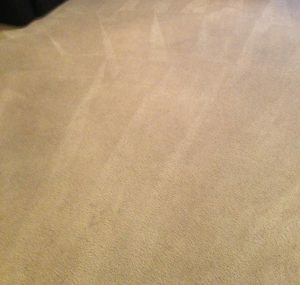 Unlike chemical cleaning steam cleaning is more effect and goes beyond just the surface of the carpet. Steam cleaning is effective for your everyday stains and for your more serious situations such as emergency water extractions. If you have a toilet overflow or a pipe break causing water to saturate your carpets, steam cleaning is your best choice. By steam cleaning the carpet cleaner will be able to extract the water, steam clean it to kill bacteria and germs, and then deodorize it to freshen it up and in more serious cases put chemicals down to help prevent any mold from growing. Everything that carpet cleaning provides points to having the best carpet and the healthiest family. By reducing bacteria and germs you are also reducing you or your families chances of getting sick or spreading the germs and bacteria. Why is carpet cleaning the best? Well, carpet cleaning is the popular choice not only because it has been around the longest but because it is also the most effective. Over the years carpet cleaners have gone from using just hot water to adding detergents to (what is now commonly used) solvents. These solvents include enzymes that break-up stains so they are easy to remove and deodorizers so your carpet smell nice and fresh. Carpet cleaning has evolved so much that these portable rentable machines from your local grocery store aren’t comparable. These rentable machines are not cleaning your carpets like they advertise. Not only is it a lot of work for you but it also leaves behind soap residue and doesn’t nearly heat up as hot as professional steam cleaners do to kill all that bacteria in your carpet. Carpet cleaning by a professional is the best route every time. Professional meaning a company well known and with top notch machinery. Professionals will always use truck mounted machines and not portables. Portables are step up from rentals but still don’t compete with truck mounted machines. It is recommended to have your carpets cleaned at the very minimum two times per year or every 3 months. By carpet cleaning so often you are providing preventative care to you and your family. 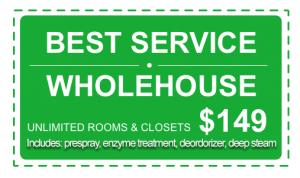 Why should you choose Beyer Carpet Cleaning? Beyer Carpet Cleaning is a top notch carpet cleaning company in San Antonio. They are well known in the industry and over the years have proved themselves to be one of the best in town. They have gained loyal customers; everyone from residents to commercial customers. Beyer Carpet Cleaning also offers some of the lowest prices in San Antonio along with quality service. Not only do they provide carpet cleaning but they also provide tile and grout cleaning as well as upholstery cleaning. There is so much that they can offer you at a great price you wouldn’t believe it until you’ve experienced it. Beyer Carpet Cleaning know what it means to wanting to take care of your family in every way possible and if carpet cleaning can help do that then what is stopping you? Call Beyer Carpet Cleaning today and you won’t be disappointed. Have your carpets clean, looking nice, smelling nice and free from bacteria and germs to keep your family happy and healthy.